You may address me as “Countess”. Snickering is optional. Yes, I’ve been suckered into 2017 reading challenges. How can I resist a challenge that is tailored to the exact genre I’m trying to write? I have to research, so why not reach for the stars and become a countess for reading the books I’m reading anyway. 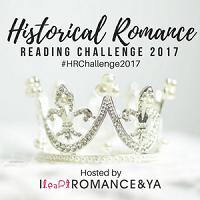 If you’re interested in joining the challenge runs all year (until December 31, 2017) curated by I Heart Romance & YA and you can sign up at any time. If you’re feeling frisky and very British, you can aim for the level of Queen reader and get through 50+ books this year. 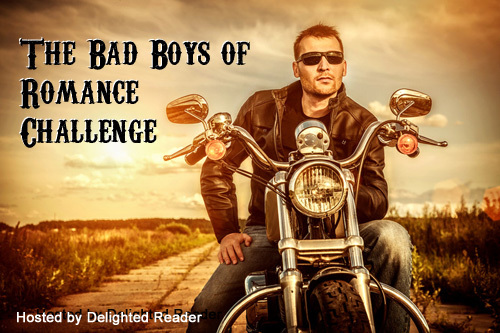 I’ve also signed up for the Bad Boys of Romance Reading Challenge 2017. If there’s one thing I cannot resist it’s a bad boy or a redeemed rogue. *swoon* I’m aiming for Level 1-Capturing the Bad Boy (5-9 books) since I can always level up and get that bad boy thinking about things like balls and chains (that’s level 2). The challenge is curated by Delighted Reader and sign-up is open until November 30, 2017. Yay! Glad you participated! I absolutely LOVE the 2 books you have already read! I am currently reading Devil in Spring and it is so swoony! I may have to reread The Wallflowers series again!